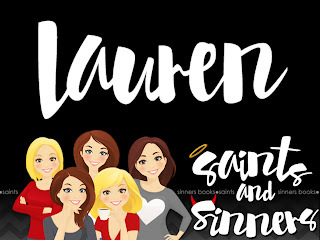 What’s a comic book nerd to do when she’s dumped by her not-quite-a-superhero fiancé just weeks before the wedding? Tempting as it is to drown her sorrows in ice-cream, Dakota decides that maybe she’ll keep that appointment with the personal trainer who was going to help her squeeze into her dress after all. But while Zane may not be a Norse god, he does have a secret. One that brings him closer to Dakota, and brings Dakota closer to danger. Is Zane the superhero she’s been waiting for her whole life? Will he swoop in and save the day? Or is he the villain whose superpower is the ability to break her heart? 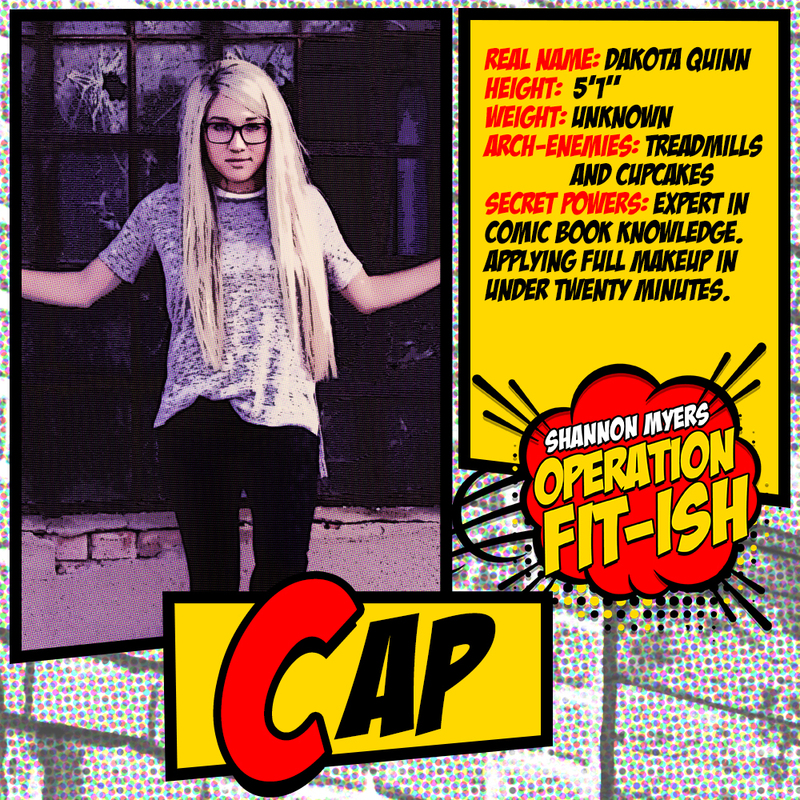 Operation Fit-ish is a comic book nerd’s dream of a romantic comedy. Myers has created a twisted romantic tale loaded with suspense, humor, and just enough comic book references that is might just be the perfect triple threat combinations. It’s got the POW! with the gritty action with Zane’s career and the BAM! with the chemistry between these two characters. The female lead for this book, Dakota, is relatable to the everyday woman. 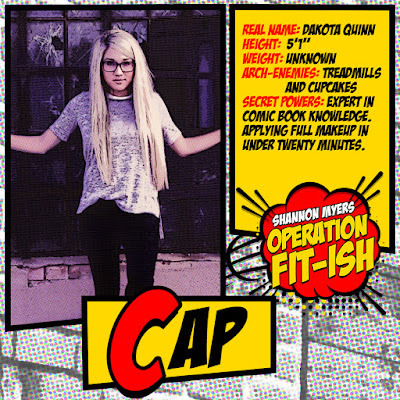 She’s not a supermodel, isn’t stick thing, and of course, she’s a comic book nerd. That right there is enough to make this book an easy one click trigger for me. There are not enough books out there that feature nerdy girls for my tastes. Zane, the male lead, is a bit alpha male, but he has a softer side to him. He tries so hard not to fall for Dakota, but he fails miserably. One of the best things about this book is the internal banter with both of these characters. It’s been a long time since a book literally made me laugh out loud, which wasn’t exactly a good thing since I was trying to read this literary comedic gem on the sly at work. Now, Ms. Myers, all I need to know is when do we get the next one? I'm a born and raised Texan. I moved to Denver, Colorado in 2003 and met the love of my life. After having our first son, we decided to get back to that small town feel and moved back home. We had our second son in 2011 and let me just say that those boys have my heart. I've always been a hopeless romantic and I love a good "Happily Ever After" just as much as the next person. I've always had ideas for stories and loved to entertain my family with short stories growing up. I love cooking, writing, and weekend DIY projects around the house.